This photograph shows inmates Jesse Hamlin, prisoner number 9539, and John Crandall, prisoner number 8705. Jesse Hamlin was received at the Kansas State Penitentiary on November 9, 1900 from Woodward County, Oklahoma for larceny of domestic animals. 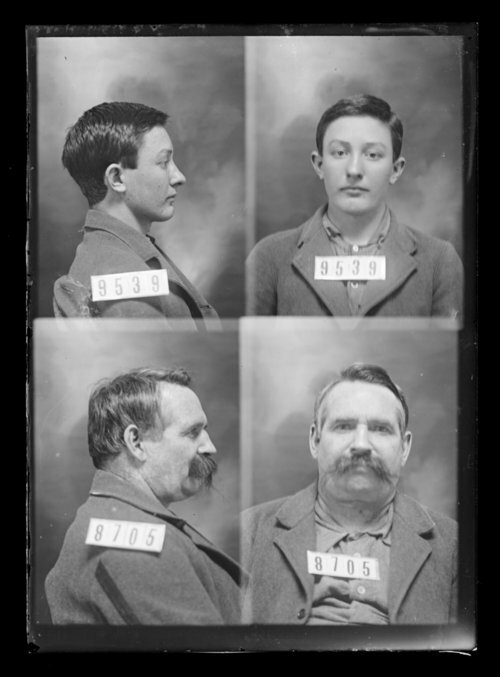 Inmate John Crandall was received at the penitentiary on November 5, 1898 from Garfield County, Oklahoma for manslaughter.